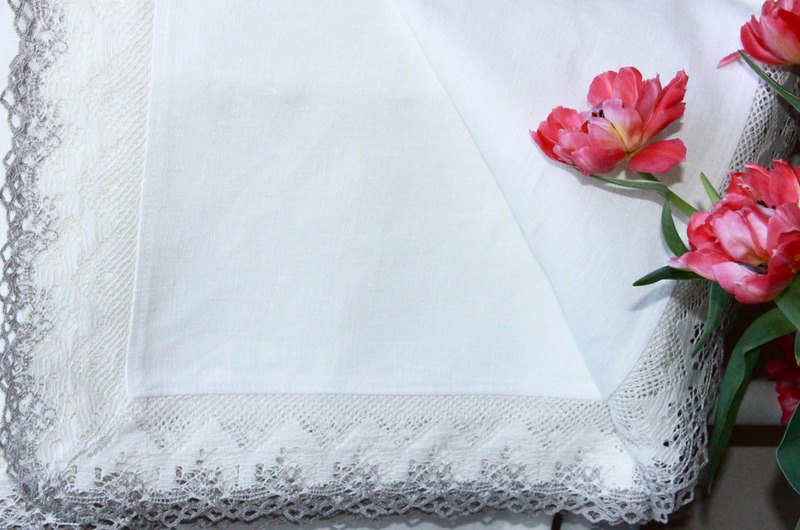 White linen tablecloth with lace. Collection CELEBRATION. 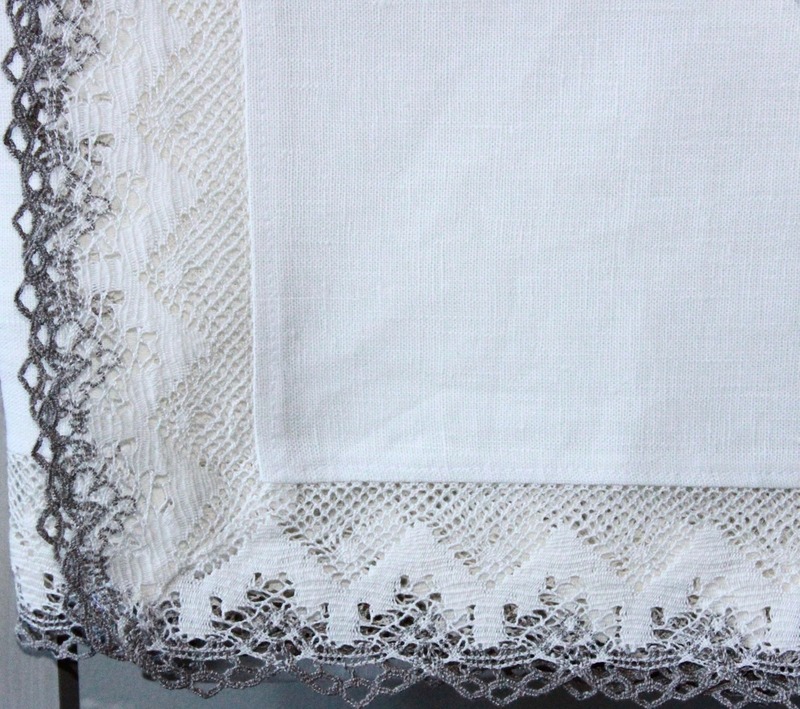 Linen tablecloth with white grey lace around. 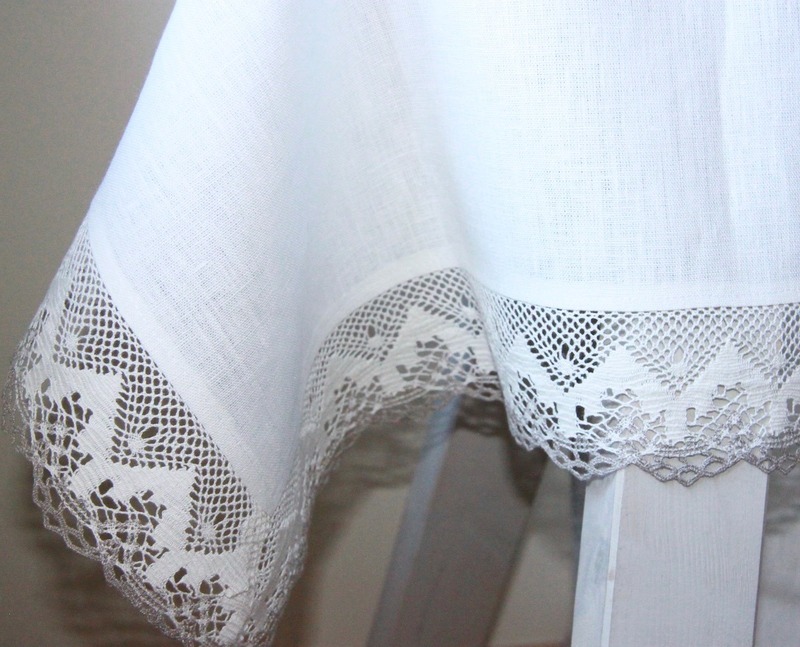 Celebrate your event with elegance and glamor.